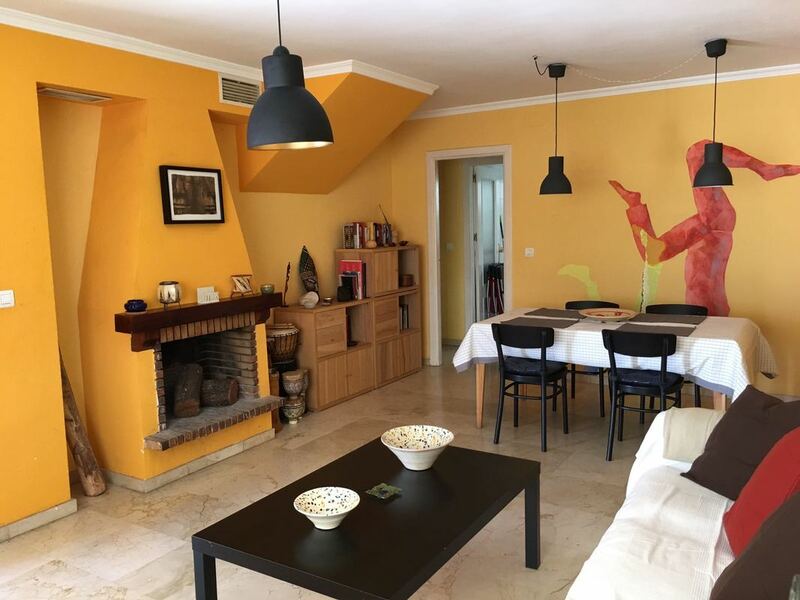 This three bedroom home plus large loft which could be a 4th bedroom or another living area, is located in the upper Albaicin, in the Carmenes de San Miguel Alto. It has an open plan lounge and dining area with fireplace and fully equipped kitchen. Upstairs there are three bedroom with an ensuite in the main bedroom. There is second bathroom upstairs and a guest toilet downstairs. ​The house has an outdoor patio area and shared communal swimming pool.